If you check Steam, you’ll notice that the big Steam winter sale kicked off today. It’s got a couple good deals, a bunch more alright ones, and... that’s kinda it. No big game-like event, no real frills, no surprises. Just like the autumn sale before it. Is it just me, or are Steam sales getting kinda boring? To an extent, I think this feeling is unavoidable, given that Valve has been slashing prices like so many extraneous branches from Christmas trees for such a long time. The first time you see a 75-percent-off tag dangling from Skyrim or XCOM or whatever, it’s goddamn revelatory. After a year or two of it, though, the sheen starts to slough away, revealing the whole event’s rote capitalistic bones—the mundanely humming gears of Valve’s machine. You’ve probably already picked up the stuff you want the most in other big sales or daily sales or weekend sales, and the biggest new games—stuff like Fallout 4, Assassin’s Creed Syndicate, Just Cause 3, and Rainbow Six Siege—only slash their prices a little or not at all. It goes deeper than that, though. This summer, there was a big, fairly exciting game—the Monster Game—that didn’t work perfectly but at least added some eventfulness to the proceedings. It tied to the sale together and gave it a sense of momentum and excitement. No sale since has had anything of the sort, unfortunately. Maybe Valve will create another game for the next summer sale, but for now all we get is a dripfeed of comic pages. Meanwhile, Valve recently did away with two longtime Steam sale traditions: daily deals and flash sales. The move was probably for the best in terms of making Steam sales more accessible and convenient, but it also took away some of the thrill, the Christmas-morning-like glee of “What’s gonna be under the tree today?” As a result of the aforementioned things, Steam sales have become less game-like (and, some would say, less manipulative), but also less fun. I don’t 100 percent know Valve’s intentions here, but I wouldn’t be surprised if all of this is intentional. In the short term, creating this sort of “sale culture”—turning big seasonal sales into Steam’s ice sculpture swan or Gabe Newell knife chandelier, a centerpiece among centerpieces—makes good business sense, but it could be hurtful in the long run. The conversation around Steam has distinctly shifted toward, “A cool new game is out? Eh, I’ll just wait until it’s on sale” for all except the biggest new releases. Sales have become this massive cloud of inevitability, silently hovering over every conversation. While they draw attention, they also put people who create games in a position to make less money if that’s how most people choose to buy their games. And of course, Valve loses out too. So it makes sense to shift away from that, and Valve seems to be doing so in a way that actually benefits its users for the most part (unless you’re purely in the market for games at dirt cheap prices, consequences be damned). Don’t get me wrong: big Steam sales still come with a certain amount of excitement. It’s just a diet portion rather than the glorious feast of The Olden Years. In many ways, that’s for the better. 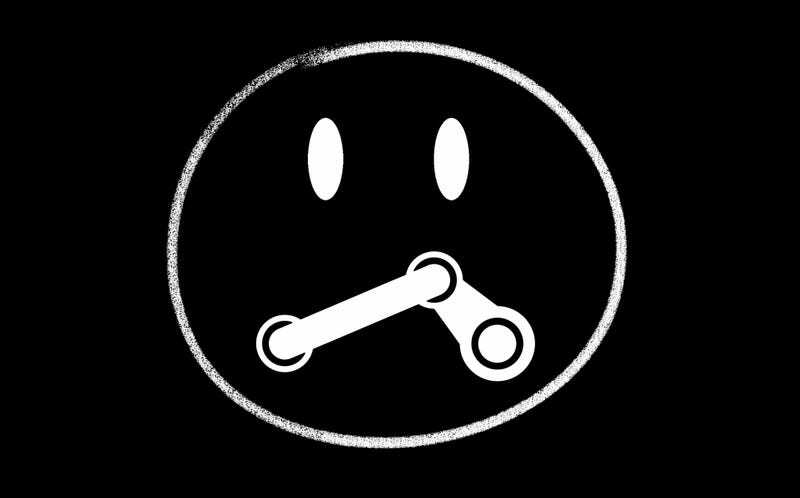 Due to changes in the Steam sales’ structure, people don’t feel as pressured by limited time offers, their friends, and their old frenemy The Zeitgeist to buy, buy, buy (even if it’s stuff they’ll never get around to playing). On top of that, it’s easier for them to buy the stuff they want when they want to—not when some arbitrary clock says it’s finally time. I do feel, though, that some kind of game-like event that doesn’t necessarily interlock with a sale but does coincide with it could be cool. Something to make Steam sales feel a bit more like a Big Occasion again—to recapture the feeling of fun, if not the same form. Or, you know, Valve could just let sales be sales. There are worse fates, after all, than getting a whole mess of Star Wars games for the price of a new Han Solo action figure, or The Witcher 3 for the amount you’d spend on fancy beard grooming.